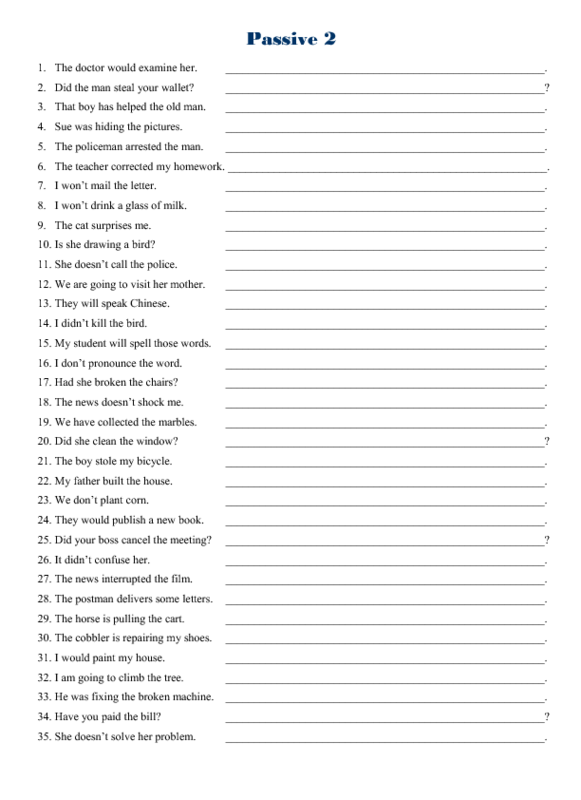 This passive worksheet contains 35 questions of active-to-passive exercises in various tenses. Each sentence contains a simple construction of a subject, a verb and an object without adverbs of time or place. It will help students locate the object easily. The questions also come in positive, negative and interrogative format.